A senior partner in the firm in charge of its litigation department, Gordon specializes in matters of medical malpractice, class actions, professional and product liability, insurance litigation and commercial litigation acting on behalf of plaintiffs and defendants. He has obtained numerous multi-million dollar awards on behalf of his clients, including many patients suffering from permanent brain damage as a result of obstetrical surgical and anesthesia medical malpractice. He has appeared before the Québec Superior Court, the Court of Appeal of Québec and the Supreme Court of Canada. He is a frequent keynote speaker at medical/legal conferences and at class action meetings. He has lectured at McGill University Law School and McGill University School of Medicine. Gordon is a much sought-after mediator and arbitrator. He was a co-mediator in the longest, complex court case in Canadian history. He has been an arbitrator in commercial, insurance, construction and bodily injury disputes. 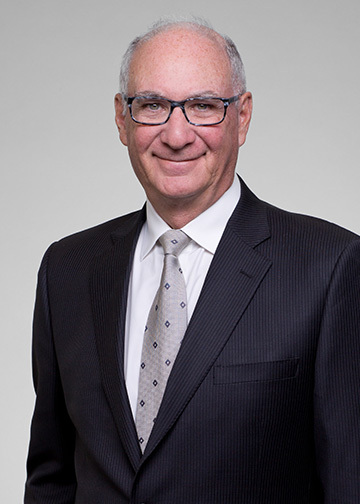 Gordon has received several distinctions, including being rated as an attorney, of the highest standing by Martindale-Hubbell, rated by Lexpert as best attorney in Québec in several areas of practice: professional liability, product liability and class actions, and was one of 26 practicing attorneys in Québec to receive the Avocat de l’année distinction for 2011 from Best Lawyers.